On the other hand, feelings don’t define us and shouldn’t be where we spend our time. I get stuck here. A lot. I am good at labeling my feelings and acknowledging them, I think, but I tend to hang out there and struggle to move on from them to do something productive. I’d rather find a way to “not feel them,” or I seek out justification for them rather than trying to identify the heart of the issue. Does this ever happen to you? Can you relate? This post may contain affiliate links. View my disclosures page for more information. Welcome back, fluffy Mama! Today’s course is gonna bump you up into the intermediate level of cloth diapering. 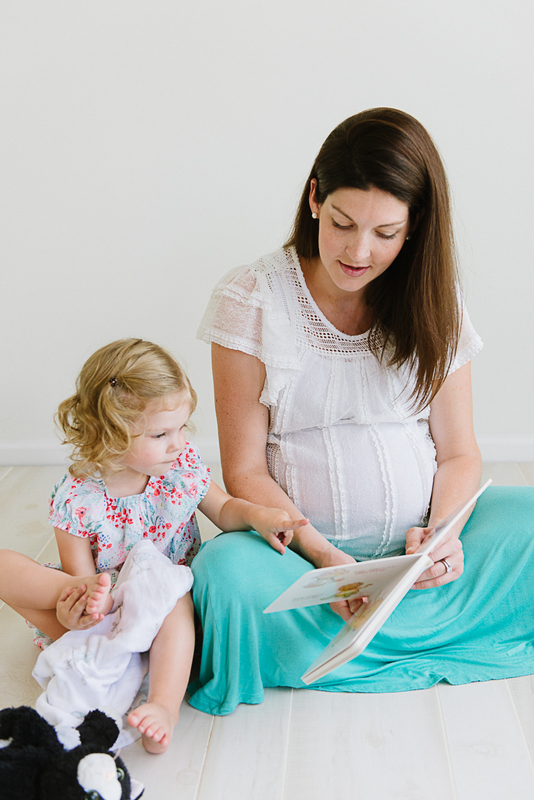 I’m here to share with you my tips, tricks, and hacks about CD, including using cloth wipes, diaper safe creams, powders, and how we combat diaper rash (which, THANKFULLY, happens way less in CD than in sposies). 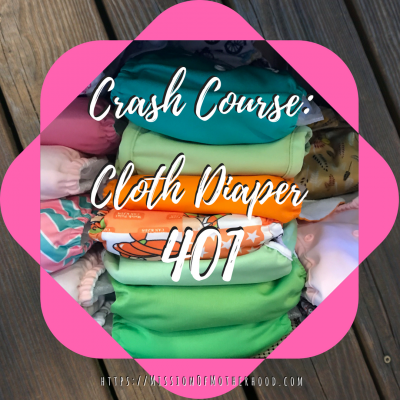 If you’re new to cloth diapering, or you have no idea what I just said, I encourage you to check out my previous posts about getting started on cloth diapers! 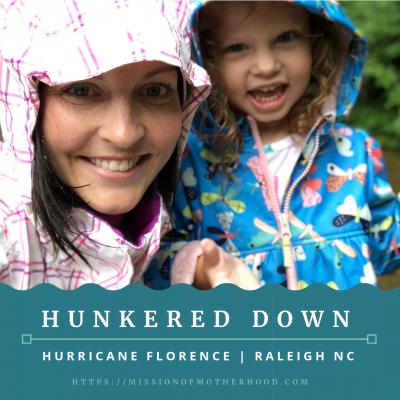 Well, Hurricane Florence got me motivated to prep my house and hunker down, and as a mom of two little kids, that means more than making sure we have enough water, bread, and batteries. The more I started to think and prep for losing power, the more I began to realize how important it is to have activities for the kiddos. And I realized how easy it is to assemble new, free/cheap, fun activities for little kids with things you probably already have in your house! This makes hurricane prep, power outages, sick days, or a boring afternoon just a little more fun and exciting. You can pack them away for the car or a trip, or only take them out in times like these to keep them exciting. 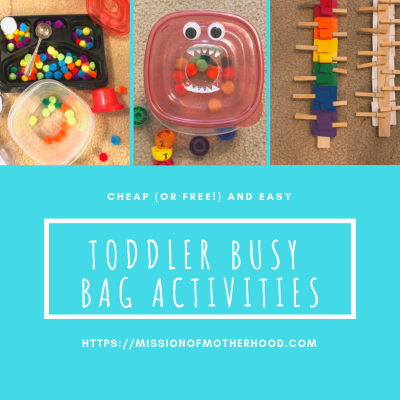 Who doesn’t love a few cheap (or free) and activities that double as learning and fine- and gross-motor skill development?! Here are the top busy bag activities that I either had the supplies on hand to make already or found easily at the grocery store/pharmacy while I was out and about. IT IS HURRICANE SEASON! We’re from the northeast (like the real north, where we get real winter, real cold, and real snow. And, real ice). One thing we don’t get much of is hurricanes. We got a little more experience with hurricanes when we moved to North Carolina ten years ago, but through various lucky circumstances we managed to out run a few of them purely by chance. We were in the Dominican Republic on vacation for one, in California at a friend’s wedding for another, that kind of thing. Well, not so much traveling happens these days with two small children, so we’re staying put this year, and as luck would have it, a hurricane is headed right for us in Raleigh, NC!